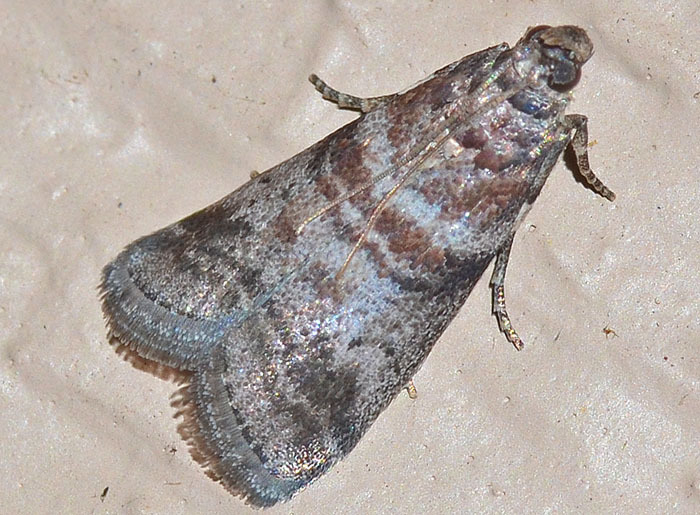 Sciota uvinella - Hodges#5802 (Sweetgum Leafroller). 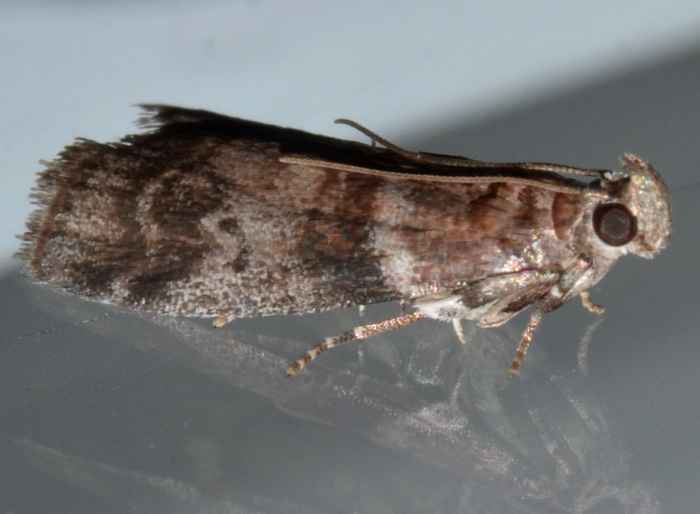 This is probably Sciota uvinella but several other species in the subfamily Phyctinae are similar and can only be distinguished by their slightly different forewing patterns. The larvae of the Sweetgum Leafroller feed--as the name suggests--on sweetgum (Liquidambar styraciflua) which do grow in our backyard.